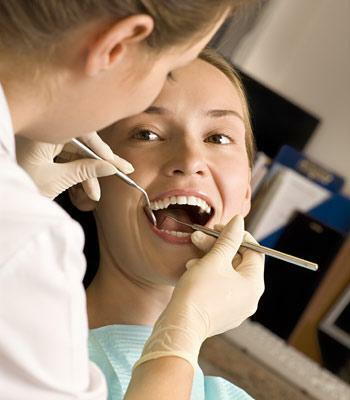 Find out why you shouldn’t miss out on those routine checkups with your dentist in Scottsdale. If you want to keep your teeth and gums healthy and free of issues, then you need to make sure that you are visiting our Scottsdale, AZ, dentists, Drs. Terry and Mary Ann Work, regularly for dental care. It’s these checkups that can make or break your smile and your goal should be to prevent dental issues from happening to you in the first place. One of the ways in which to do this is to visit your dentist twice a year for routine checkups. We know that most, if not all people have gone to the dentist for routine checkups; however, if fear of the dentist or financial issues have kept you from seeing the dentist as regularly as you should then you may not even realize the benefits of these visits and why they shouldn’t go ignored. Yes, a professional teeth cleaning is a big part of your checkup, but there are other important elements, as well. Even if you brush and floss every day, you still need professional dental cleanings from your general dentist in Scottsdale. This is because even the best brushers and flossers can miss areas. When this happens, plaque and tartar can build up and lead to cavities and gum disease if they aren’t removed. Coming in twice a year for cleanings will reduce the amount of plaque and tartar buildup you experience. Furthermore, these cleanings can also remove surface stains and brighten your smile. Along with cleanings, we will also perform an oral cancer screening and x-rays (x-rays are taken once a year). Our dentist will also check over your teeth and gums to make sure everything looks healthy and that there are no signs of problems lurking anywhere. The x-rays also allow us to see early signs of cavities, the presence of bone loss and whether your wisdom teeth are coming in properly. The information x-rays provide is invaluable for determining future dental procedures or treatments you may need. The oral cancer screening only takes a minute and is completely painless. During this screening, we will examine the oral tissue to check for growths, lumps, or lesions that may be warning signs of oral cancer. Even if you aren’t at risk for oral cancer this screening is important for everyone. If you need to schedule an upcoming cleaning for you or a family member, then give Dental Works in Scottsdale, AZ, a call today. We would be happy to work with your schedule to provide you with the dental care you need to maintain a healthy smile.